A beautiful Newbridge bangle from the eShe jewellery collection. This bangle has a cuff style with a multi tone colour and design with a hinge mechanism closing. 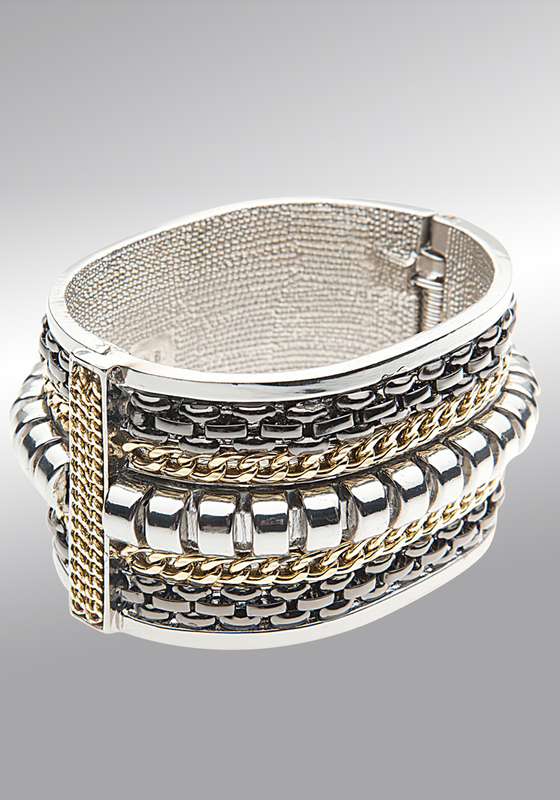 Featuring colours of gold, silver and gunmetal.